Do you dream of living by a lighthouse? 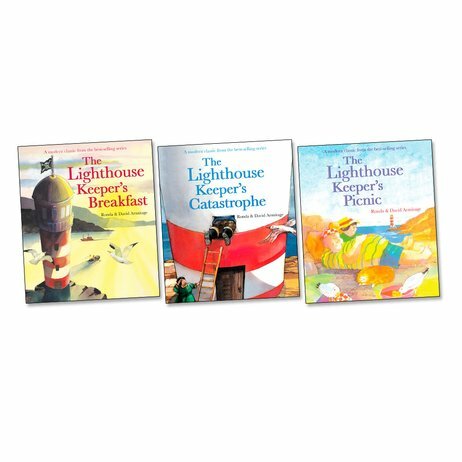 Join the Lighthouse Keeper and see what it’s really like. 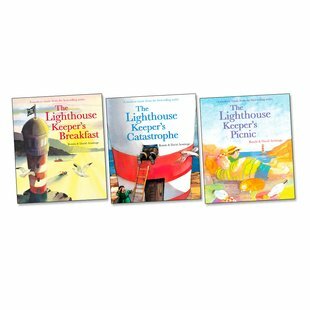 You’ll find ever so much to spot and learn in these classic seaside stories. The bright, funny pictures are just as exciting as the words. Say hello to Mr Grinling: a lucky man who has the amazing job of running a lighthouse by the beach. That means polishing the light, sailing in boats and eating lots of yummy picnics. Just the job if you’d like to run your very own lighthouse one day.